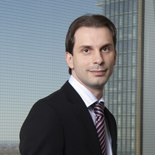 Pier Sperti, a Chartered Accountant since 2003, commenced his association with MARMER PENNER INC. in 2005. Previously, Pier was an audit manager at an international accounting firm. Pier obtained his designation as a Chartered Business Valuator in 2007. Pier has lectured to professional bodies including the Ontario Bar Association and the Institute of Law Clerks of Ontario as well as to various law firms on financial matters pertaining to family law and has authored several articles on the topic. Pier is also involved with the Canadian Institute of Chartered Business Valuators as a test writer for some of its courses. Pier was admitted as a partner in the firm in 2010.